Belgian royal family is currently in Piedmont region of Italy in order to have their summer holiday of 2016. Belgian royal family including King Philippe, Queen Mathilde and their children Princess Eleonore, Prince Gabriel, Crown Princess Elisabeth and Prince Emmanuel visited Maritime Alps Natural Park (Parco naturale Alpi Marittime) and Gesso Valley in Piedmont region of Italy. 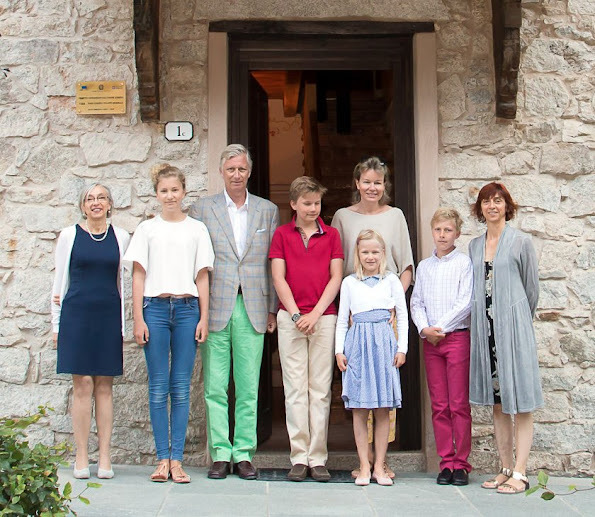 Princess Elisabeth is getting nicely tall and looks more her age now. As for the King's pants, it seems he always is wearing a colorful pair. When you are a king you can dress to please yourself! Actually the entire outfit is just so so bad! I think all the kids are going to be tall. 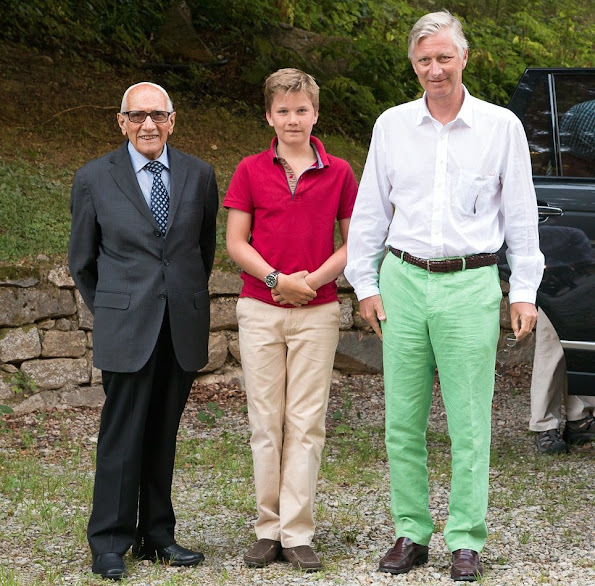 King Philippe wearing green pants looks like American from California or Texas on vacation in Europe! I can assure you that no Texan would wear those pants. A Cali person might because well...it is California. However not nice to stereotype a person from another country. I am pretty sure that there are many men from many countries that would wear those pants. I did not say word such as all,most,always,usually so my comment did not signal I was making generalization. "Looks like an American" THAT is a pointing someone out. 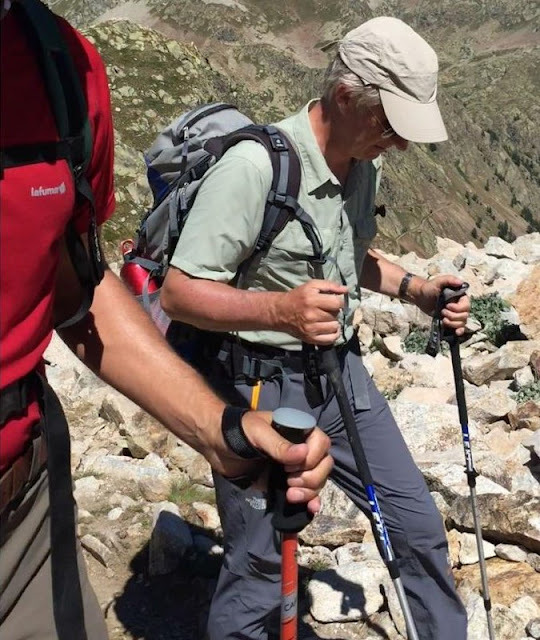 Elisabeth embellit et devient plus féminine. Une jolie jeune femme posée et distinguée. Those green pants and plaid jacket? not American at all. Just his poor taste in clothing. Italians like to dress in bright pants such as yellow, red, pink, green...he is maybe giving a nod to the country.